With the A4 Allroad, Audi has managed to add some useful off-road capability without taking away any of the refinement, comfort or quality of a regular A4 Avant. Its chunkier styling doesn’t make it a Land Rover competitor, but for bad weather, forest tracks and muddy fields it’s great. 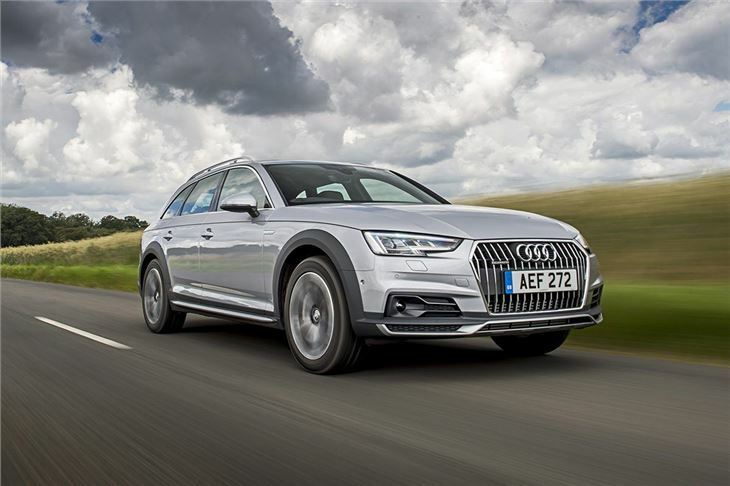 Of course, most of the time the Allroad will live on tarmac – but it’s impressive here too. The most popular 190PS TDI diesel tested here is extremely quiet and - with 400Nm of torque available from 1750rpm - it’s very punchy. It’s also efficient, with an official economy figure of 57.6mpg on 17-inch wheels. That figure isn’t too far beyond the realm of possibility – but only if you choose the ‘Efficiency’ driving mode. Unfortunately, if you do that the S Tronic automatic transmission becomes lethargic, taking an age to kick down when accelerating and, worryingly, hesitating quite noticeably when attempting to pull away from a standstill. The car is much better in the standard drive mode, which is more responsive and still economical, thanks to fuel saving technology like a coasting function. When navigation is specified this can even pre-empt speed limit changes and will tell you when to lift off the throttle in advance. The handling is neat and stable, with huge reserves of grip in bends and minimal body roll. Ride quality is good too – better than a regular Avant in fact, thanks to the slightly longer suspension travel. Rippled roads and potholes are dealt with well, with just the occasional thud over the most serious road imperfections. Refinement is excellent, with very little noise intruding into the cabin. 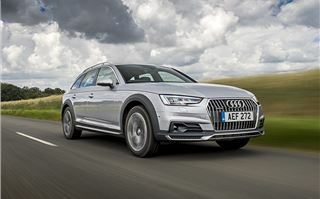 This, along with the comfortable seats and standard automatic transmission, makes the Allroad a great motorway car. Cruise control is standard, but if you want adaptive cruise control or active lane assist you’ll need to buy a pricy optional technology pack. 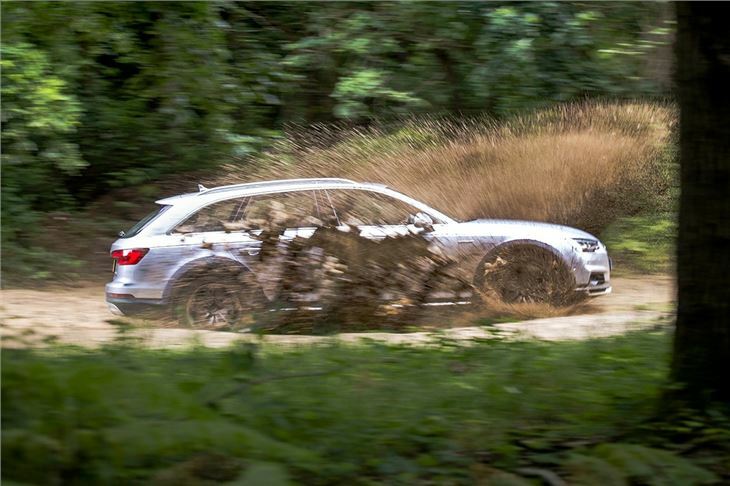 If you do plan to tackle muddy tracks and fields then the quattro system will do a good job of helping out. It automatically adapts, detecting slip and sending drive where it’s needed most. Hill descent control is fitted and makes slippery slopes more manageable, but there isn’t enough ground clearance for really serious off road stuff. 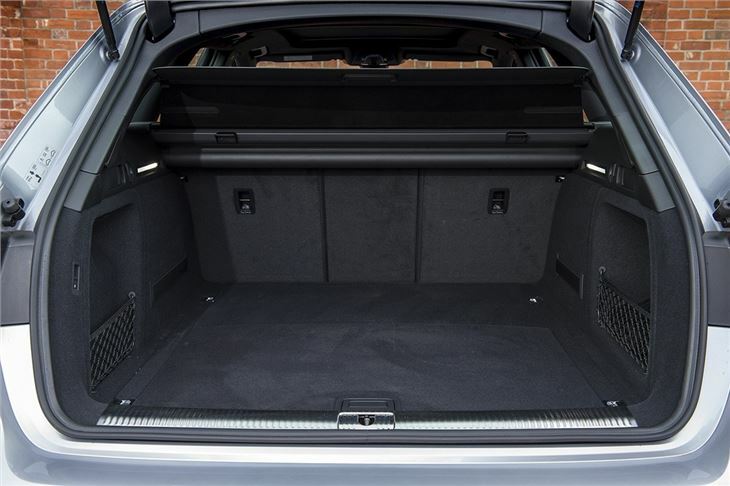 Inside, the A4 Allroad is extremely well finished and luxurious. Material quality is top notch and there is plenty of customisation, enabling buyers to pick from various upholstery finishes and inlay materials. 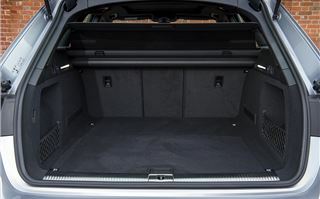 In the back row there is enough space for adults, with plenty of leg and head room, plus the boot is very practical. 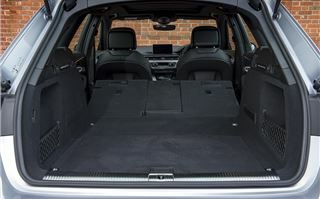 With the rear seats in place there is 505 litres of capacity and it’s all very useable, thanks to the low, flat, wide load deck and power tailgate. Suitcases are swallowed up with ease. 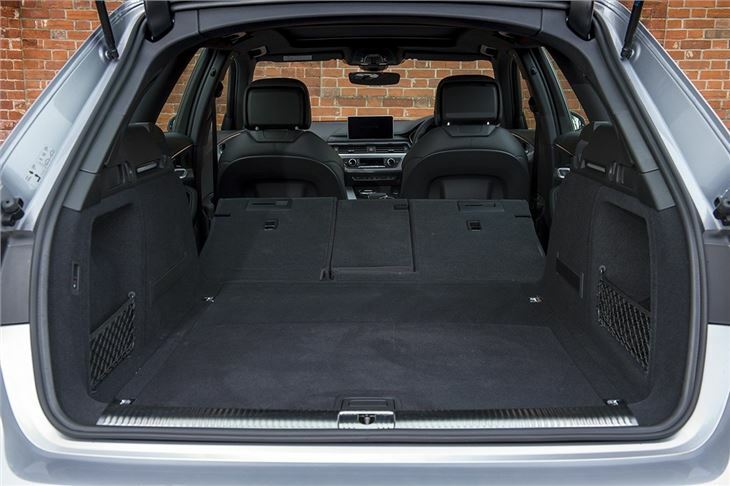 If you need more space, folding the rear seats frees up a maximum of 1510 litres – plenty for garden centre trips or visits to the rubbish tip. 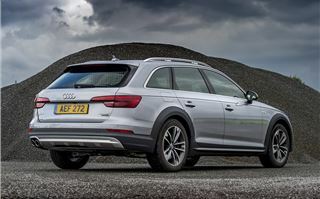 Audi provides quite a decent level of standard equipment, with three-zone climate control, auto emergency brakes and a colour infotainment screen as standard – but there are plenty of features on the options list too. Nav, for example, is only standard if you go for the Sport model, while some desirable technology is only available in driver assistance packs. 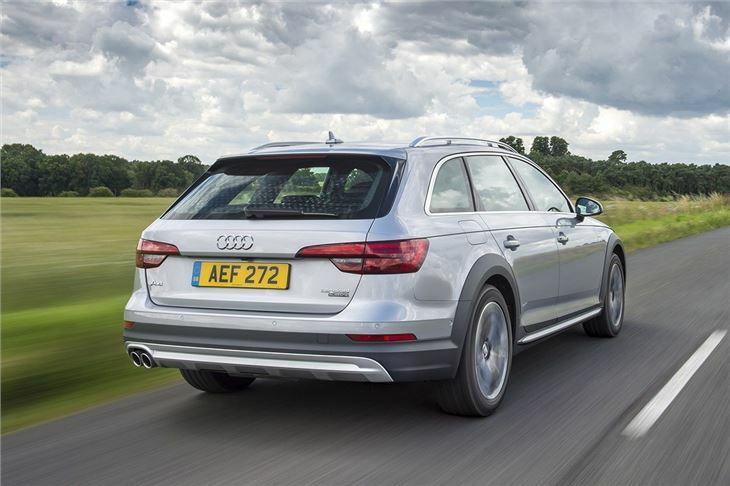 The Tour pack includes adaptive cruise control with traffic jam assist, predictive efficiency assist, improved auto emergency brakes and various other safety technologies at a cost of £1250. These packs, as well as features like the excellent Audi Virtual Cockpit, can quickly ramp up the price. 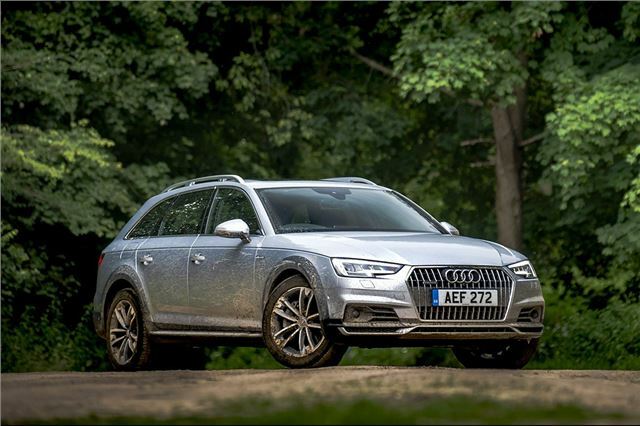 And it’s not as if the A4 Allroad is cheap – it costs from £36,710. For a whole lot less you could have the almost as practical Skoda Octavia Scout. 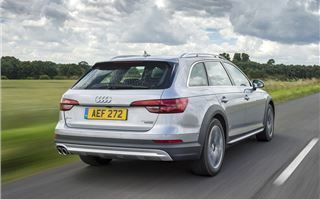 The Volkswagen Passat Alltrack does a very similar job for less money too so, as good as the A4 Allroad is, it’s definitely worth considering some of its rivals too.